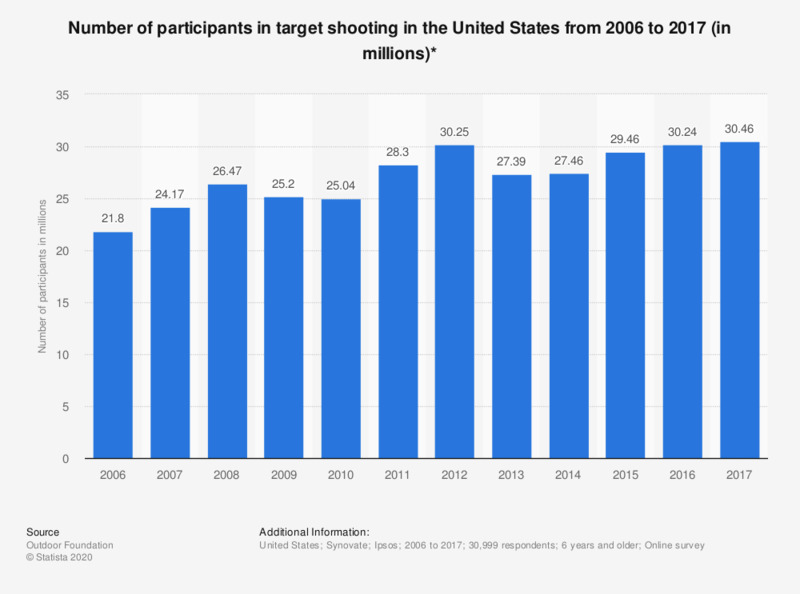 This statistic shows the number of participants in target shooting in the United States from 2006 to 2017. In 2017, the number of participants (aged six years and older) in target shooting amounted to approximately 30.46 million. Target shooting includes shooting with handguns and rifle shooting.